This ABC site provides simple songs for singing to young children. The songs are provided as animations with sound, and subtitled with words highlighted as they are sung. So they can be used as a reading exercise as well. 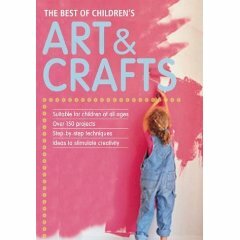 This book is an enormous collection of activities for children, all designed to exercise busy fingers and stretch fertile minds.